I finally bought 2 Face Food bento books by Christian D. Salyers and just added them into my bento books collection. Today's bento is inspired by these 2 books. My kids requested me to make Yagami Taichi, one of the characters from their DigiMon (Digital Monsters) DVDs. They had been watching this movies during the school holiday at home. I almost gave up halfway but then decided to finish up the character. I thought I still needed a lot of practice, I missed up so many details because of the time limitation. I think I will not able to make this type of bento too often as I always prepare my kids bento in the morning. And in my opinion, this type of bento can't be made in rush if we want to have a good result. In the end, my kids were pretty happy when they saw this character in their bento box and requested to make another character from Digimon ... oh no!! Inside the box : peanut butter sandwich, fruit bar, gold kiwi, and jelly balls. 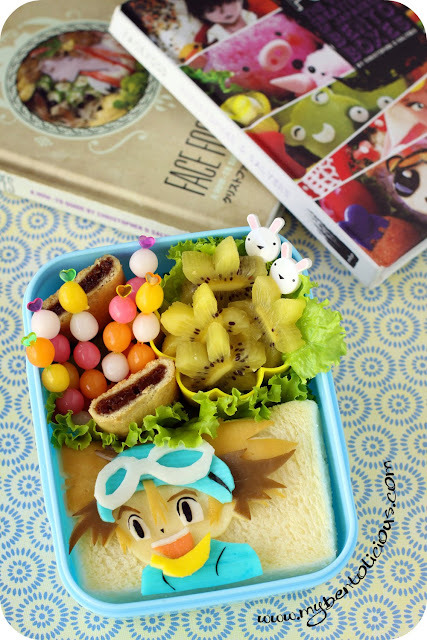 Oh my, that is such a fantastic bento Lia! I fully expect that you are going to make your own bento book soon. I am always amazed by your talent and creations! just wonder where did you get the blue color from? food color? Wow that is a lot of work! Well done. And what are jelly balls? They are very cute. So cool, Lia! I agree that a bento book from you would be a delight and a treasure...please consider! Very taken with the bright pastel jellies here. Excellent! That's awesome! Respect your creative ideas & talented fingers, Lia Chen! So amazing! Wow that is a lot of work and your kids really appreciate it! Maybe once in awhile, as a treat for them :). As for me, I would need most of the night before to pull it off, hehe! Yagami looks great, Lia!! Little Egg C said, "Wowwwwww, that looks cool!" 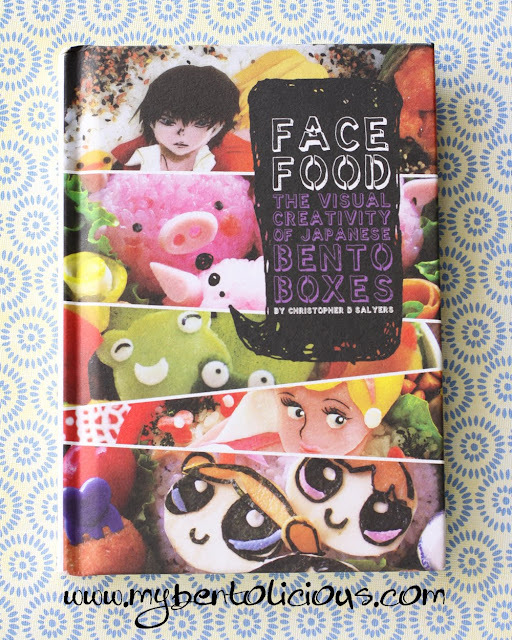 The books look like they would be a great addition to our bento book shelf as well! @bentobird : Bento friends are so kind with the comments, including you :) Encourage me to learn and explore more. Thanks a lot Jenn! This kind of bento is totally out for me coz I just don't have the patience! hehehhee Especially with a screaming boy and a cry baby! @sherimiya : Oh ya, once in awhile for sure hehehe ... Thanks a lot Sheri! awesome lia! i am loss for words... beautiful charaben, i dont think i can chew this one! @anna2003 : Thanks a lot Karen! @Mommyof2girlz : Thanks a lot! That is so cool!! I want one! What are the face and hair made of.. And how'd you do the blue shirt? So so amazing Lia!! When I grow up, I want to be just like you. : ) You're such a cool mom! @Indonesia-Eats : Hard to find bento related book here. Sometimes I have to buy it from Amazon. But worth it, because I need more reference and keep learning :) Thanks a lot Pep! That is most people do, buying books online. I remember I bought an Indonesian cookbook from a Singapore online store. 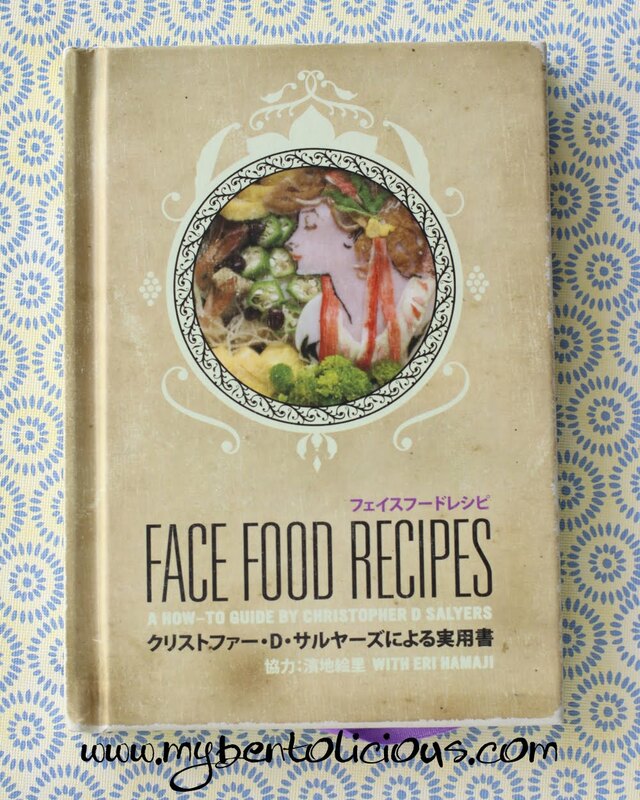 It was published by yasaboga and in English. I trust yasaboga quality for Indonesian authentic cookbook. you must have such steady hands to do all this fine detail cutting! i'm VERY impressed lia! !